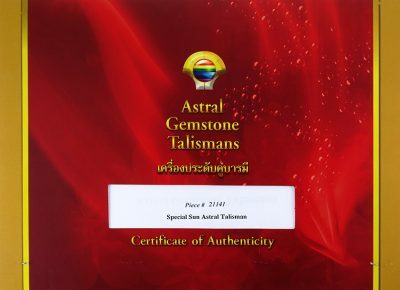 Each Astral Gemstone Talisman is presented in an exotic wood or silk box and comes with the AGT Gemological and Astrological Certificate. 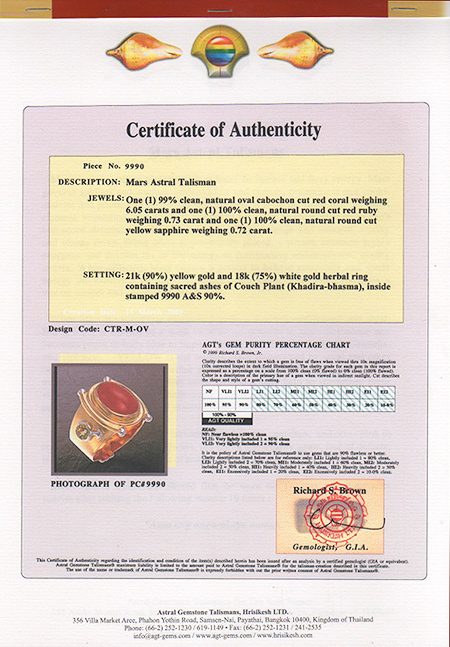 The first page of each certificate shows a digital color photograph of the talisman, and gives the creation date and Astral Gemstone Talisman Collection serial number (see sample below). 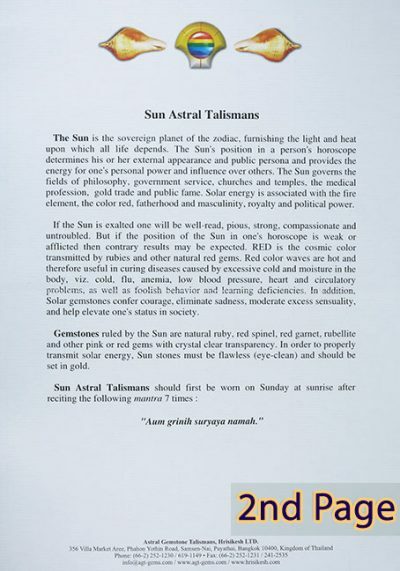 Color is a description of the primary hue of a gem when viewed in indirect sunlight. 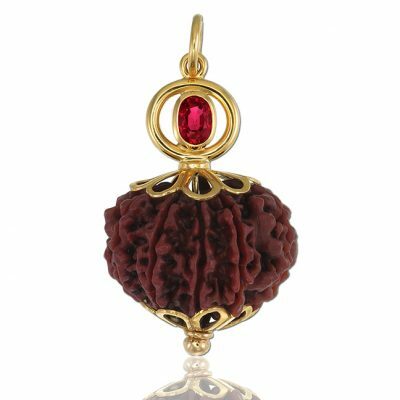 Cut describes the shape and style of a gem’s cutting and polishing. 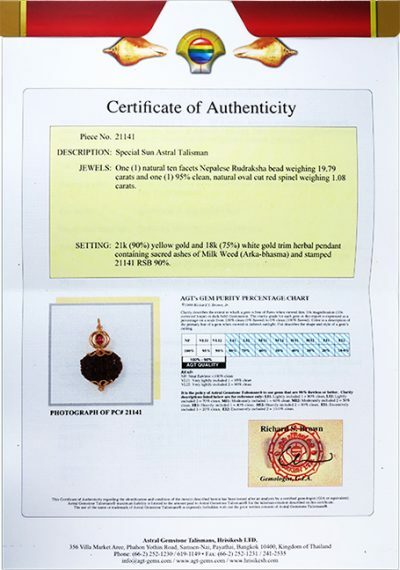 Carat is weight of the gem (1 gm = 5 carats). Clarity describes the extent to which a gem is free of flaws when viewed through 10x magnification (10x loupe) in dark field illumination. 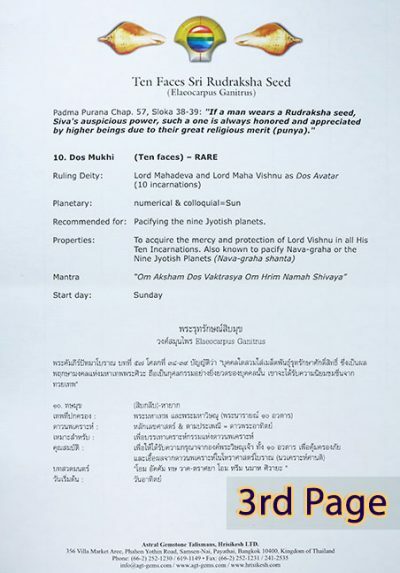 The clarity grade for every gem (in the AGT report) is expressed as a percentage of purity on a scale from 100% clean (0% flawed) to 0% clean (100% flawed). 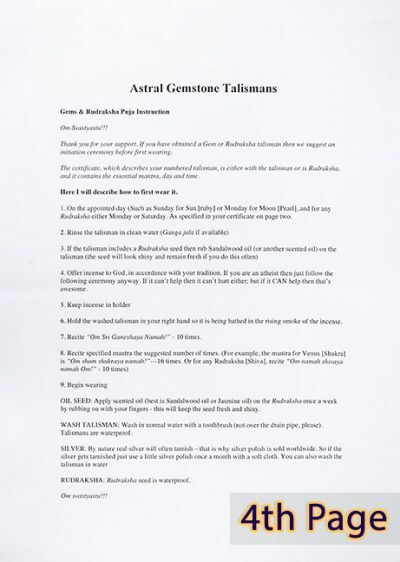 talisman’s known planetary influences and how and when the talisman should first be used. 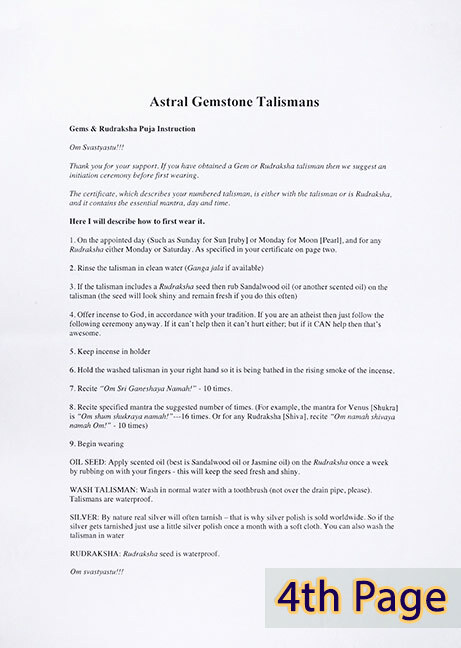 The fourth page is instructions of how and when to wear the talisman.